Complete the contact form below and one of our dedicated team members will be in touch shortly. Tim was born and raised on a family farm just north of Toronto. Not unlike many young men he was not sure what he wanted to do so he enrolled in University, only to realize that upon completing his second year he still was not sure what he wanted to do in life. Tim packed his bags and headed off to Vancouver Island where he landed a job selling vehicles for a Port Alberni GM Dealership. He had finally found his calling and once again packed his bags, returned to and graduated from University of Guelph. Upon graduating Tim joined GM of Canada and discovered that ‘packing your bags’ went hand in hand with success. After a few years it was time to return to the retail side of the business and Tim chose an offer to become the GM of Carter GM in Burnaby. He remained in Senior Management for years until the opportunity to join the World Class and Worldwide Automotive Consulting Company Half-A-Car presented itself. After all this time although Tim knew he was in the right business, he had finally discovered exactly what he was meant to do. The fire was lit and from that point forward Tim’s only goal was to enhance the performance and the lives of everyone that worked in the Automotive Business. In a very short period of time Tim was honored as a Master Consultant and went on to lead the Canadian team. The family owned Half a Car was sold to a corporation and within a few months of working with the new corporate owners Tim realized it was back to packing your bags. He resigned and the very same day Alderson Consulting was born. Alderson Consulting has had the distinct pleasure of working with and developing relationships with over 500 Dealers in Canada, the USA and Australia! 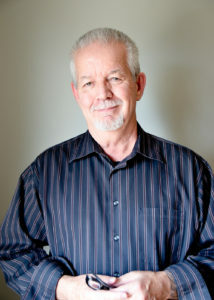 Bob Veitch began his career at the age of 20 as a retail salesperson for McKay Pontiac Buick in Calgary. He fondly remembers telling his wife Pat that he had found the best job in the world and it would provide them with an incredible lifestyle. After a week, Bob’s wife Pat quit asking him whether he sold a car that day or not. Finally on day 19, Bob sold his first vehicle and claims to remember it as though it was just yesterday. Within three months he became salesman of the month and frequently filled the sticker board. One year later he was promoted to New Vehicle Sales Manager and then a further year later, General Sales Manager. Bob remained in the retail automobile business for sixteen years until an opportunity arose to join the HAC Group whose Half-A-Car division had an exclusive contract with Ford USA to provide Lease Training for automobile dealerships throughout Canada, the US and 17 other countries. He spent three full months flying into Philadelphia every week, where he received World Class Training on how to be a Consultant to the industry he loved. Bob then went on to earn the designation of Senior Consultant followed by Master Consultant honors. When the HAC Group was sold to Reynolds and Reynolds, Bob was given a task to assist with the Toyota Team which lead to him working as the lead Consultant for Toyota Canada. He was part of the Toyota University who developed, wrote and then rolled out the new Toyota Selling Process. In time Bob became weary of living in hotel rooms and eating the same food all the time. It was his intention to take a year off but after six months he began to assist Dealers with generally one year contracts, where he became the driving force behind rebuilding the processes, training and rebuilding the team and of course delivering outstanding bottom line results. Bob’s personality and reputation was built on the basis of walking the talk from the boardroom to the showroom and genuinely caring about every team member in between. He truly believes that one has a 50/50 chance of turning a walkout into a buyer and if you want to earn the respect of a salesperson just turn a walkout into a buyer! Within 5 minutes of meeting Bob Veitch you will understand not only his heart for the business but also the absolute depth of his knowledge and why one Dealer refers to him as the Bob Veitch University! Well known for her cheery attitude, dependability and impeccable customer service, Alexandra Meyer is thrilled to be Alderson Consulting’s Marketing Director. Born in Dubai to a German father and Filipino mother, Alex grew up in Hong Kong and the Philippines and has had schooling in both English and German. She moved to Montreal to obtain her Bachelors of Commerce at McGill University, and has called Canada home ever since. Alex’s international upbringing has definitely led to her being bitten by the travel bug. Whether it’s visiting family in Chicago, doing a yoga retreat in Berlin, seeing Charlie and the Chocolate Factory in London, or shopping in Bangkok, being able to explore different countries and cultures is what she loves to do most. Her adaptability led her to take on various roles in different company departments, from research analyst to training to operations. Through these experiences, she slowly started to pick up on what she really enjoyed in those roles: support and process. Alex has always enjoyed working behind the scenes making sure the show runs smoothly and the actors have everything they need to shine on stage, which is exactly what she ensures with every sales event. Alex has been with Alderson Consulting since 2012, and has been responsible for developing and building the company’s dealership sales event operations. Today, Alex oversees and executes the back-end of all dealership sales events. Chances are – if you’ve ever done a Private Sale or Upgrader, you’ve worked with Alex! Above all else, Alex strives everyday to maintain strong relationships with all her clients, execute with precision, and deliver above and beyond. Following graduation from High School, Fred worked in the Warden Services in Yoho National Park in British Columbia. This was a great opportunity as he met and worked with some very talented people and several of these individuals helped Fred pursue his passion for aviation. Fred attended Selkirk College in Castlegar, B.C. where he completed his Commercial Pilots License. He continued to work for Parks Canada in Yoho National Park during the summers to finance both his studies and flying time. It was while at Yoho National Park that he was fortunate enough to frequently work around helicopters as they provided a myriad of support services in remote areas of the Park. This new fascination led Fred to pursue a career in helicopters and he received his Commercial Rotary Wing License in 1973. Various flying assignments gave him the opportunity to see vast areas of Canada as well as international assignments in Scotland, India, Thailand, China, Chile, Peru and the Sudan. Fred progressed through his aviation career taking on additional responsibilities as a “Base Manager” and roles in Pilot “Check and Training” which provided him with exposure to and the development of leadership and interpersonal communications skills. The continual extended tours away from home eventually took their toll and he ultimately decided to stop flying and pursue a career in management within the company. Once again key individuals provide Fred with mentoring and assisted him greatly as he transitioned into a new phase in his career. The company was sold and another opportunity presented itself, this time in the auto industry. Fred was once again extremely fortunate to have an opportunity to work with another strong mentor, this time Craig Wood. Fred was given the opportunity to immerse himself in this challenging industry and soon realized that Automotive Retail Sales and Aviation were very similar; both depended on one’s ability to forge relationships with customers and fellow employees and both industries relied on a commitment to process. Craig provided Fred with the opportunity to manage Prince George Motors. Here he pulled together a great team of employees and ultimately the store became the number one retail sales Ford Dealership in British Columbia. The opportunity to build a team of great people who shared a common vision and were committed to improving the performance of the dealership was extremely satisfying, not just for Fred but for the whole team. Providing employees opportunities to showcase their talents and also achieve personal best performance is very rewarding. Especially watching individuals grow and perform beyond their previous expectations. This business continues to evolve at a rapid pace and like most businesses, those that are able to adapt to this constant change will continue to be more successful than those who fail to embrace change. Throughout Fred’s automotive career he had the opportunity to work with Alderson Consulting. Fred believes this is another of life’s great opportunities to pursue his passion of working with people and sharing past experiences that will benefit others. Rena was born in Edmonton and has lived there ever since. A pianist since early childhood, Rena began teaching piano while she was in high school and went on to earn a Music Degree in 1999. In 2001 she became a mother and made the decision to stay at home full-time. So began the decade of mini vans. It was while she was still at home with her young daughters that she began to explore the field of professional coaching. In 2011 she studied with the Martha Beck Institute and became a Certified Coach. 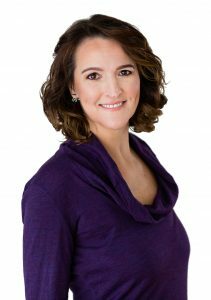 In 2012 she partnered with a scientist-turned-business advisor and together they launched Redline Advisors, with Rena in the roles of Vice President and Executive Coach. Just as Redline was getting going, Rena broke her back tobogganing (not her first broken bone on a toboggan hill, being the all-or-nothing type she is) and was hospitalized for eight days. Upon her release, she learned that while she was in the hospital, her Redline partner had had a stroke and, sadly, had passed away right down the hall from her. Rena took some time to recover from her injury and from the loss of her partner, determining the best way to proceed on her own. She continued to coach clients and teach her music students, while studying new coaching models and the latest findings in the field of neuroscience. Rena is unrelentingly curious about the brain science behind behavourial change, to which her home library will attest. Rena combines scientific research, strategic coaching tools, active listening, and her natural curiosity to help individuals discover how to identify and close the gap between where they are and where they aim to be, both in their professional and personal lives. She is skilled at helping her clients get clear about what needs to change and how to make those changes happen. Her love of learning, commitment to telling the truth, passion to help people reach their full potential, and ability to find humour in even the most painful of circumstances enable her to coach her clients with skill, honesty, energy, and compassion. Rena is thrilled to join forces with Alderson Consulting as their Management Coach. Rena is available for coaching via phone, Skype, or Facetime. Michael Robins began his training and facilitation career in 1993 with Maritz Canada. Since that time he has developed and delivered product knowledge, sales skills and process training, lease and lease renewal training, sales-rallies, ride and drive programs and a variety of other initiatives and is a certified distance learning instructor. Michael’s knowledge of the retail automotive industry was gained from working over 12 years in a large domestic manufacturer’s dealership, 8 of those years in sales and sales management. 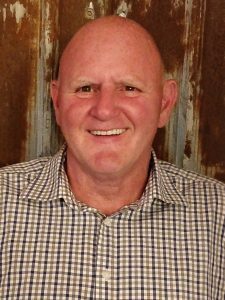 While in sales, he was consistently among the top 3 dealership performers and achieved an enviable clientele of repeat and referral business through strong customer contact processes and his passion for the “people” side of the business. Michael managed Maritz Canada’s team of automotive trainers/facilitators/consultants from 1998 to 2004. In this role, he was instrumental in acquiring additional consultants to support Maritz Canada’s business growth. From 1998 the number of automotive trainers working with Maritz increased from 7 to 18. Michael worked closely with Maritz account managers to ensure the right trainer resources were in place to support training initiatives, coached his team to ensure quality delivery and was accountable for client and participant satisfaction with training program delivery quality. In 2004, Michael moved his family back to Vancouver BC from Maritz’s head office in Mississauga Ontario. Home again, he continued his passionate, enthusiastic and quality delivery of training initiatives for Maritz within the automotive sector and other industries throughout Canada. 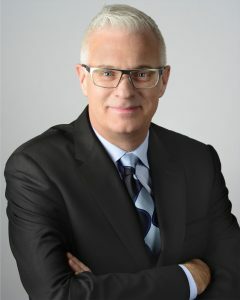 In 2009, Michael became a free-lance facilitator, broadening his network to include new automotive and telecommunications clients such as BMW Group, Honda Canada, Rogers and Alderson Consulting. Michael has augmented his corporate training initiatives and works with several large dealers and dealer groups throughout Western Canada. Since 2012, Michael has been conducting and leading on-site Private Sales with dealers all across the west for Alderson Consulting. The hallmarks of Michael’s continued success are his energy, his tenaciousness and his enthusiasm. Dealership staff and customers alike just love it! 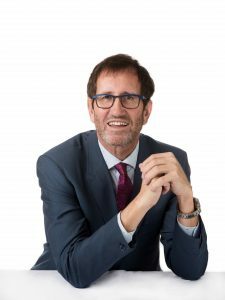 Michael’s engaging style, his ability to create a safe learning environment, his infectious personality and passionate delivery make him a sought after coach, speaker, trainer and consultant. He challenges participants to learn and grow.